Last week we spoke about the upcoming prom and graduation events. While researching graduation speech, prom dress code and other related topics we found several must-read articles and an outstanding commencent speech we’d like to share with our readers. 1. A Young Man’s Guide to Prom explains how to ask the girl to prom, suggests to attend the event with your friends and offers great advice on prom dress code. 2. 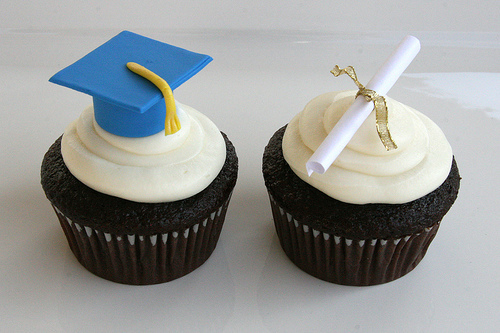 How to Host a Graduation Party on a Budget is filled with nice tips and tricks on how to host inexpensive graduation parties. Besides the article itself, there are quite a few valuable comments from the website visitors. Don’t miss those! 3. Graduation Party Crafts and Decorations 10 inspirational photos for your graduation party. Wonderful and easy to implement decoration ideas. 4. College Confidential Forums is an endless source of useful college and study related information. We suggest to bookmark it if you are a student or a student’s parent. 6. And finally, the 10 most exciting Commencement Speeches to watch this spring according to OnlineColleges.net. Did you find an article about graduation day or prom parties that you loved and would like to share it with Etiquette Tips readers? Leave us a message below!